On this day, July 13th 1729, Captain John Parker was born. 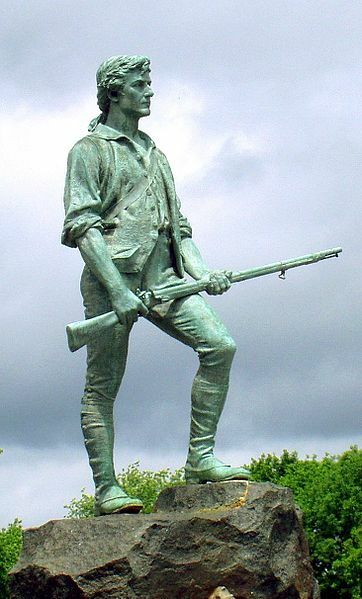 Captain John Parker’s words to his men on Lexington Green on April 19, 1775 have become inextricably associated with the beginnings of the Revolutionary War. Colonists of the time were adamant in defending their rights, by force if necessary, but were careful to avoid directly instigating violence. Parker would see eight of his men killed and ten wounded at the Battle of Lexington; one of the casualties was his cousin, Jonas Parker. Later, when the British regulars were returning to Boston from Concord, there would be a second engagement known as “Parker’s Revenge”. At the time of the Battles of Lexington and Concord, Parker was already suffering from tuberculosis and would die just five months later. He would not live to see the fulfillment of a new nation as the result of the armed conflict with the British that began that day. “Every American Choosing Liberty, Every Day” is not just our vision statement. This is how we chose to remember those who gave all during the American Revolution. Want to learn more about Captain John Parker? Join us at one of events where Captain Parker’s exploits on April 19, 1775 are often included as part of our history presentation.